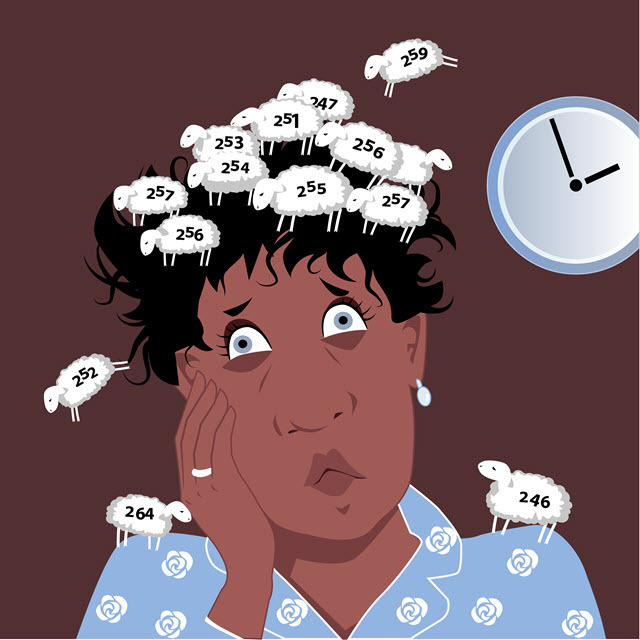 Everyone wants a “cure,” a simple strategy for eliminating insomnia, just like that. But does a cure exist? Insomnia is not a simple problem. For millions of Americans it is an ongoing, or chronic, sleep disturbance that has attachments to deeper physical and psychological problems. For many it is a symptom of depression and/or deeply rooted anxiety. For others it’s just an occasional all-nighter or transient stress at work that provokes a bout of sleeplessness. Cure one lost night of sleep with a day of healthy eating followed up by a night of return to restful and full sleep. But what about a cure-all for long term insomnia, the real nuisance stuff? Physician intervention. Very important that you engage your primary physician for regular bouts of insomnia. Remember, sleep disturbances of this magnitude are usually symptomatic of other medical maladies. Your doctor has a variety of pharmacologic and non-drug therapies that work quickly to guide your biological clock back to a regular Circadian Rhythm. Prescription sleep aid, usually short-term and designed to kick your sleep-wake cycle back on its right track. Products like Ambien, Lunesta and Sonata are designed for short-term—two weeks—use. Theyare powerful and very useful in the first stage of the insomnia fight. These drugs are well-suited to sleep onset and middle-waking insomniacs. Behavioral modification is fast becoming a preferred method of dealing with the actual symptoms of insomnia as well as rooting out the primary cause for insomnia. Cognitive behavioral modification, CBT, is a non-pharmacologic approach that combines sleep hygiene, relaxation, and psychotherapy. This is a therapy targeted to long-term management of insomnia. Utilizing all of these strategies—physician intervention, short-term medication (which could include non-prescription sleep aids and herbal remedies), and long-term management of symptoms--- you learn the warning signs of insomnia and strategies for prevention. The key in curing insomnia is decoding its underlying causes in your life. When you know this you can intervene early in your insomnia pattern. Cures don’t necessarily have to revolve around prescriptions—you may learn how to apply non-drug insomnia therapies involving music, relaxation and more fundamental building blocks of a healthy sleep cycle: proper sleep hygiene.